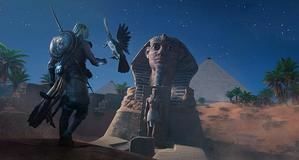 Assassin's Creed Oranges is one of the best games in the series, and Ubisoft have been updating it constantly. We've got the full Patch Notes changelog for the PC version of the game. Abubaker Salim, the voice of Bayek, is doing an AmA today. Is VMProtect Causing Performance Problems In Assassin's Creed Origins? 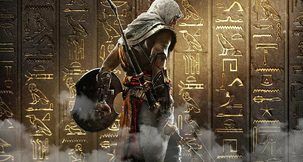 It's been reported that Ubisoft's DRM copy protection, from Denuvo and VMProtect, is causing slowdown, hang-ups, and framerate drops in Assassin's Creed Origins, but Ubisoft denies this. 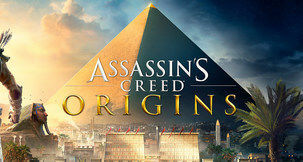 According to reports, the latest Assassin's Creed game not only features Helix Credits that allow players to buy Loot Crates with real money, but the game also encourages players to buy them. 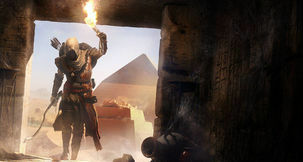 Ubisoft's Chief Executive Officer Yves Guillemot urges investors to be "conservative" with their sales estimates for the new Assassin's Creed.